(Chinese:c. 1836–1906), nicknamed 'Money Changer Wah' , was a student of the Wing Chun grandmaster Leung Jan . He is noted for being the martial arts teacher of Yip Man, who himself is known for being the teacher of Bruce Lee. Chan owned a currency exchange stall near Leung's herbal medicine clinic in Foshan. He carried heavy loads of coins every day, and so developed great strength over the years. 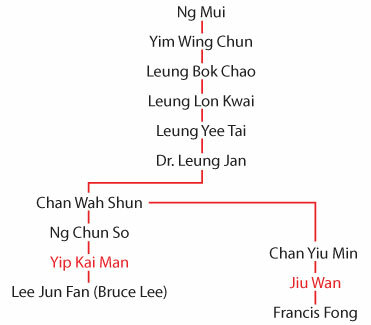 Chan had learned martial arts from others before learning wing chun. 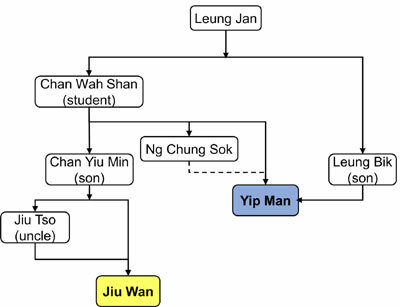 Leung had only a few private students at the time, including his sons Leung Chun ( loeng cheun) and Leung Bik ( Liáng Bì; loeng bik), another student Woodman Wah , and Chan. The Qing government recruited Chan to be the head instructor of the army, but he served in that position only temporarily before returning home. Chan also learned traditional Chinese Medicine (de da) from Leung, eventually closing his money changing business and opening a healing clinic. 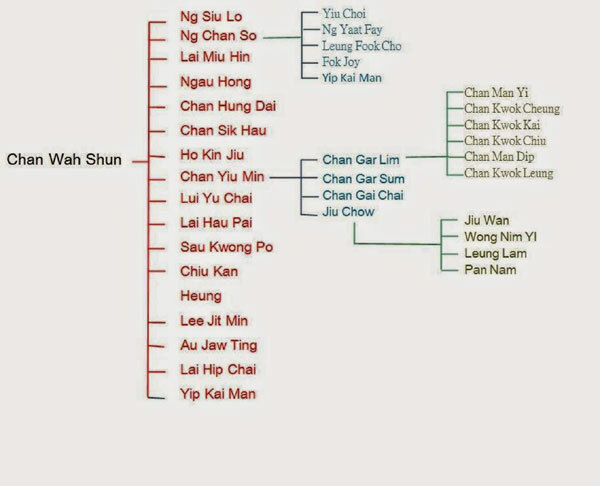 Chan accepted his last student, Yip Man, when he was 70 years old, but was only able to teach him for three years. 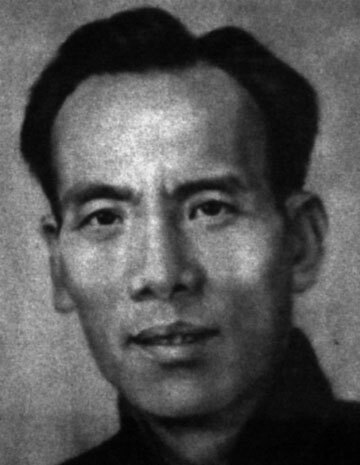 Before dying, he asked his second student, Ng Chung-sok , to continue Yip's training after his death.